Yes, very interesting indeed–so glad you were able to make this trip. and your reference to Avatar Adi Da commenting that “multiple entities” could be involved in re-birth of Masters is intriguing, redressing our tendency to interpret such Cosmic processes in linear terms. I understand your “speculations” are tentative, but valuable in light of an opened-up view on the Avataric Birth. James, how was a correlation made between Adi Da being born in the United States with the prophesy being one of an Avatar incarnating in a European country, not in America where Adi Da was born? Thank you , James , for this wonderful article .I can see characteristics of Upasani Baba in Adi Da’s Divine fierceness and His outrageous ‘ crazy wise ‘ manner with devotees . Though that was also a part of His earthly personality , as described at the beginning of ” The Knee of Listening ” .Franklin Jones was an intense , no holds barred , Scorpio native . 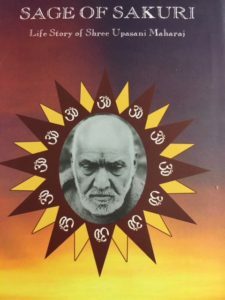 I read today that Meher Baba had said that Upasani Baba passed his spiritual work or legacy to him ( In the same way that Ramakrishna passed his spiritual legacy and power to Vivekananda , perhaps ? ) Have you also read about this , James ? I realise that the stone throwing as question was an expression of the self contraction , in the case of his audience . An expression of the verbal left brain , which obliterates all spiritual states . And also an expression of mere intellectual speculation , when not relevant to spiritual practice . Adi Da did not encourage such questioning , when indulged in not from a place of love . ” Who will throw the first stone ? ” resonates on many levels . His Teaching years were a profound submission to the earth bound . The intellect is traditionally assigned to the masculine realm , emotion and feeling , intuition , to the feminine realm ( even in the Jungian sense ) And it is the woman who has been stoned , according to traditional religious texts . The first instance that comes to mind is the woman caught in adultery , in the Christian story . I think it was about that woman , that Christ spoke , when he said she was forgiven , because she ‘ loved much ‘ . So in Satsang , there is the Woman , there is the intellectual mind without spiritual depth , and there is Adi Da , repeating the words of Christ . 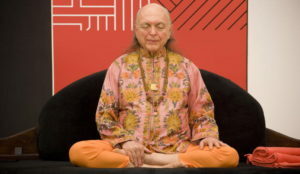 I am writing about the first Satsang with Adi Da . It was the great spiritual personage , Hazrat Babajan , who had kissed Meher Baba on the forehead and initiated his profound and extensive immersion in the Self , oblivious to the world . Thats an easy one, Phoenix. People in India didn’t differentiate between Americans and Europeans. All one and the same. I am considering also , that when Meher Baba said ‘ I am the Avatar of the ages ” and ” When I speak , all must listen ” , he may have been speaking in a Divinely intuitive sense , conveying Prescience of Adi Da’s Realisation . It goes without saying that Meher Baba did mot speak in an egoic sense . Those words were Divine Revelation . 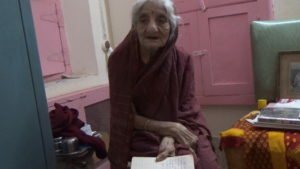 Meher Baba also stopped writing , for an extensive period before his Mahasamadhi . He even ceased to use the alphabet board . He use a unique sign language instead .Perhaps that relinquishment, as well as his silence , was a tapas and preparatory work for the sake of Adi Da’s Work that would follow , after 1970. Meher Baba’s passing was in 1969 .His words about the effects of the breaking of his silence appear to point to the mantric effects of Adi Da’s Word , and the Siddhi associated with his Word , which awakens beings to the Self . That is what Meher Baba said breaking his silence would accomplish . He was speaking as Consciousness , not as the body/mind . 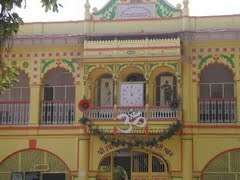 Upasani Baba may have merged with Franklin Jones when He decided to relinquish the ” Bright ” for the sake of mankind, when He was two or three , in 1941 or 1942. Upasani Baba’s Mahasamadhi was in 1941.A dog was a connecting link via an incident , when a black dog was waiting for food , and Sai Baba said to Upasani Baba that that he was that dog , and why did you not feed me ? 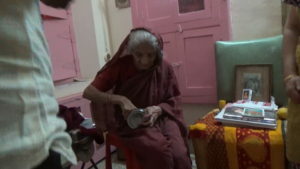 A puppy was the catalyst for connecting Franklin Jones with mankind , and perhaps with Upasani Baba. But Upasani Baba spoke as Consciousness Itself , as Meher Baba did . 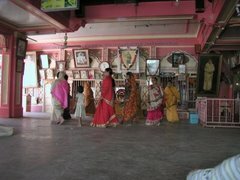 They would not have regarded themselves as limited to one body/mind vehicle , perhaps.If Upasani Baba could have been associated with Franklin Jones’ relinquishment of the ” Bright ” , then Meher Baba could have been associated with Adi Da’s returning to His Realisation of the ” Bright” in the Vedanta temple. But those two great spiritual personages , Upasani Baba and Meher Baba were only Consciousness , Aware of Its own Nature and Emergence . Meher Baba ceased writing in 1927 , a year and a half after he began his silence .His silence lasted forty four years . He did not write for forty two and a half years . I think of his silence as the Divine Silence , the Hush ,before the Divine Sound of thunder ” Da ! ” , and the Heart’s Shout . Perhaps Upasani was saying that Consciousness Itself , with which he identified , rather than ” Upasani Baba’s body/mind reincarnation , would be born in America . A Mystery . The prophecy from Upasani Baba is wrongly quoted. Baba said white countries rather than that silly word, Western which has zero meaning in an indian village! Why censor your words anyway?